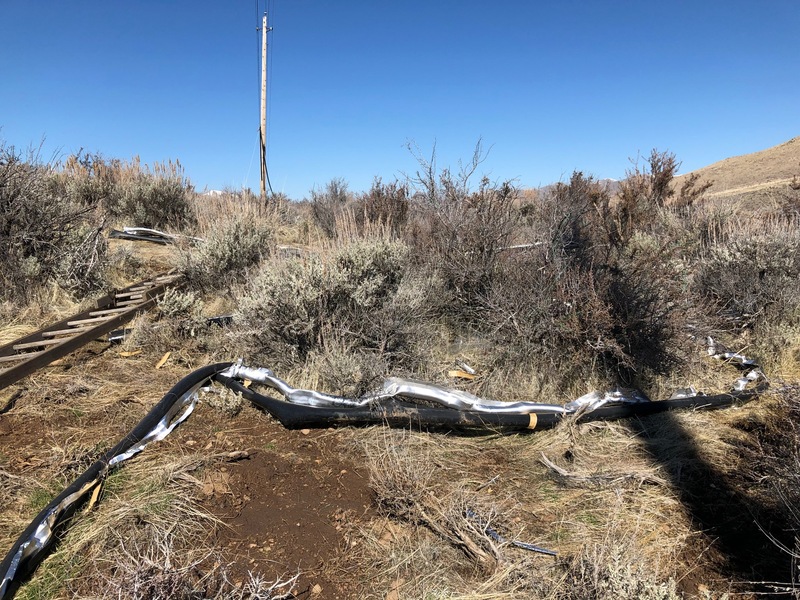 Washoe County Sheriff’s Office deputies arrested a Reno couple early Sunday morning on multiple charges related to the investigation of a rash of wire thefts from power poles in the north valleys. 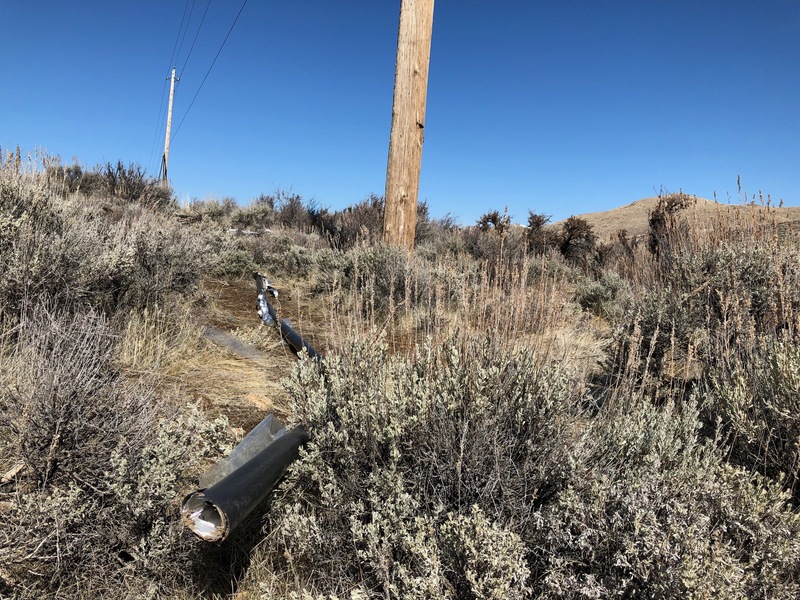 The investigation began on March 5, 2019 when a Sheriff’s Office patrol deputy noted damage to utility poles along the dirt extension of N. Virginia Street between North Red Rock Road and White Lake Parkway. Evidence showed that wires on these poles had been intentionally cut. Similar damage was discovered on utility poles in the same area on March 7. The Sheriff’s Office detective division opened an investigation into the thefts. Information gathered by detectives was shared with patrol deputies. On March 15, similar damage was discovered on utility poles located in the area of Seneca Drive and N. Virginia Street. At approximately 4:00 a.m. on Sunday, March 17, a patrol deputy observed a vehicle parked in the area where the damage was discovered on March 15. A female was sitting in the vehicle. She was later identified as Roxanne Renee Pemberton, age 35, of Reno. Pemberton was unable to provide a credible explanation as to why the vehicle was parked there, or as to the whereabouts of a male companion that she reported was with her. After a search of the area, deputies located Harry Hodgerney, age 41, also of Reno, hiding nearby with a pair of bolt cutters. Deputies also noted damage to a utility pole in the area. Detectives responded. After further investigation, both Hodgerney and Pemberton were arrested and booked into the Washoe County Detention Facility. Hodgerney is charged with multiple counts of burglary, grand larceny, destruction of property and other charges related to the incidents of March 5, 7, 15 and 17. Pemberton received multiple charges related to being an accomplice in the March 15 and 17 incidents. This is an ongoing investigation. Anyone with information that might assist this investigation is asked to contact the Washoe County Sheriff’s Office Detective Division at (775) 328-3320 or Secret Witness at (775) 322-4900. Refer to cases WC19-1207, WC19-1423 and WC19-1453. Photo caption: The Washoe County Sheriff’s Office arrested a Reno couple on multiple charges related to a wire theft spree which included utility poles along North Virginia Street north of Reno.